Former Republican vice presidential candidate Sarah Palin Wednesday evening decried a Florida pastor's plan to lead a Quran burning over the weekend, likening it to the plans to build a Muslim community center near Ground Zero. "Book burning is antithetical to American ideals," Palin wrote in a Facebook note. "People have a constitutional right to burn a Koran if they want to, but doing so is insensitive and an unnecessary provocation - much like building a mosque at Ground Zero." The so-called "mosque" at Ground Zero refers to plans to build an Islamic community center, which would include space for prayer, a few blocks from the site where the World Trade Center towers stood before the Sept. 11, 2001, terrorist attacks. Polls show that Americans largely believe that the developers of the center have a right to build the Islamic center there, but most Americans also believe it is inappropriate. 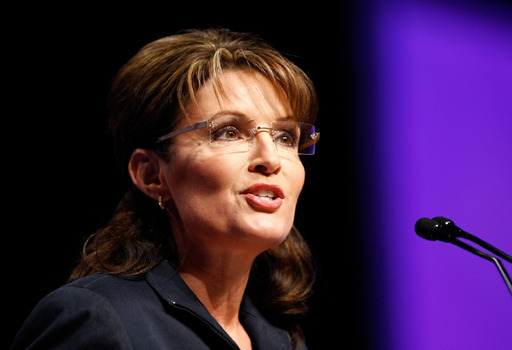 "Freedom of religion is integral to our charters of liberty," Palin wrote. "We don't need to agree with each other on theological matters, but tolerating each other without unnecessarily provoking strife is how we ensure a civil society." She added that the Quran burning would "feed the fire of caustic rhetoric and appear as nothing more than mean-spirited religious intolerance." The former Alaska governor joins a number of other high profile politicians who have now condemned the anti-Islam demonstration planned by Rev. Terry Jones to mark the anniversary of the terrorist attacks. President Obama called the burning a "stunt" that would serve as "a recruitment bonanza for al Qaeda." Gen. David Petraeus said images of a Quran burning in the United States would endanger troops. Attorney General Eric Holder, Secretary of State Hillary Clinton, former GOP presidential contender Mitt Romney and other leaders have also criticized the event.